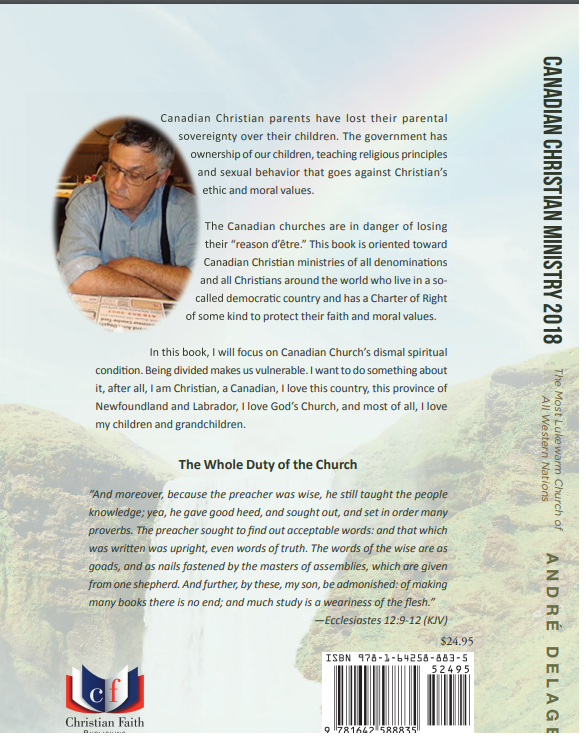 Canadian Christian parents have lost their parental sovereignty over their children. The pulpit is responsible since they avoid political debate. This book reveals the deception and the solution. Canadian Christian parents have lost their parental sovereignty over their children. The government has ownership of our children, teaching religious principles and sexual behaviour that goes against Christian’s ethic and moral values. The Canadian churches are in danger of losing their “light on the lampstand” This book is oriented toward Canadian Christian ministries of all denominations and all Christians around the world who live in a so-called democratic country and has a Charter of Rights of some kind to protect their faith and moral values. 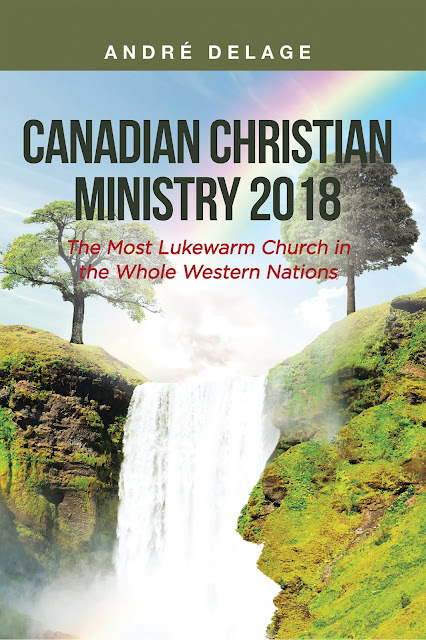 In this book, I will focus on the Canadian Church’s dismal spiritual condition. Being divided makes us vulnerable. I want to do something about it, after all, I am Christian, a Canadian, I love this country, this province of Newfoundland and Labrador, I love God’s Church, and most of all, I love my children and grandchildren. I wish to thank in advance those of you for sharing my video clip and my book I published... the book was in the making for over 2 years. I accumulated information which is viewed from outside the box of a conventional Christian perspective. I am Christian with no affiliation with any denomination (yet attending) since I realized that is the reason why we Christians are being used as a doormat. This book is my opinion.